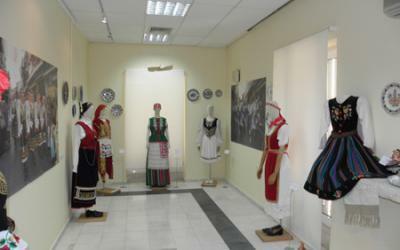 This Folkloric Museum is housed in the building of the old primary school in the mountainous Kavalos. The museum exhibits mainly objects related to various professions such as farming, carpentry, shoemaking, in the pre-industrial era. 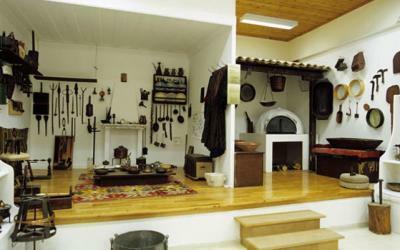 Exhibits regarding traditional housing, traditional costumes and woven fabrics of the Sfakiotes area of Lefkada. Open during the summer months. 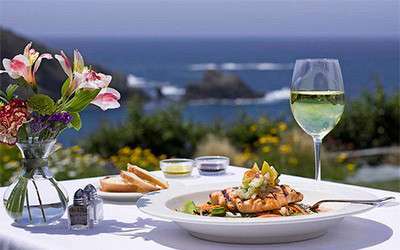 To visit it, call 2645061611. 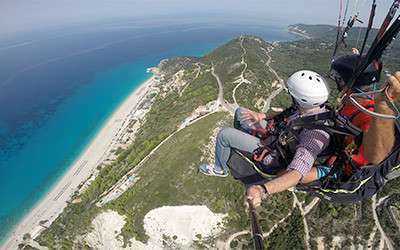 It is located in the most beautiful mountainous village of Karya. 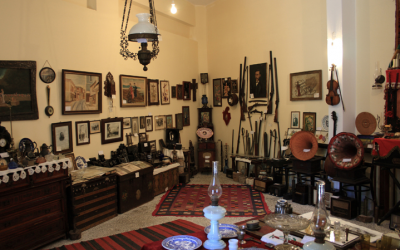 It is a small private museum with traditional exhibits such as agricultural paraphernalia, looms, woven and well-known renowned carnation embroidery. 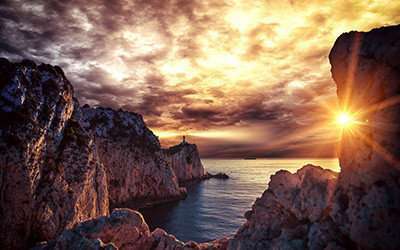 Within the Cultural Center of Lefkada there is the archaeological museum of the island, where the findings from the Middle Paleolithic Age (200.000-35.000 BC) to the late Roman times are presented. In a separate room, the finds of the excavations of the well-known archaeologist Wilhelm Dorpfeld are on display. 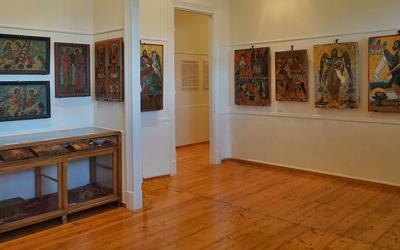 The room is dedicated to the great expressionist painter Theodore Stamos. 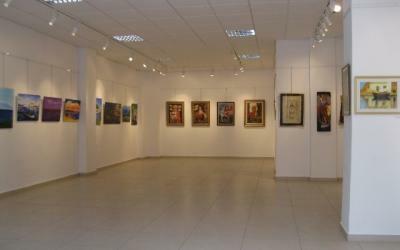 There are exhibitions of painting, engraving, photography and more. It is located in Marka Square. 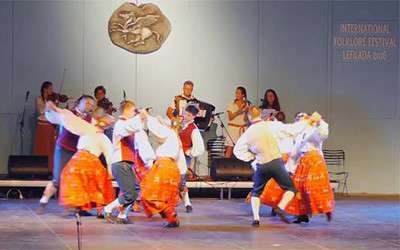 It is located next to the central square of the old town, at 2 Stephanitsi Street. It was founded in 1978. 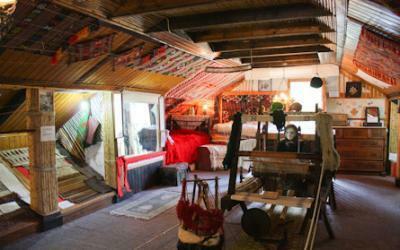 There are many rare exhibits concerning the traditional life and history of the Lefkadians. Entrance: 2€ Free for people over 65 and young children. April – October daily 10: 00 -13: 00 and 19:00 – 22: 00 except Mondays. 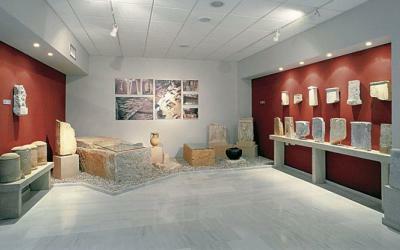 It is a small private museum near the central pedestrian street of the old town of Lefkada, at 12 Kalkani Street. 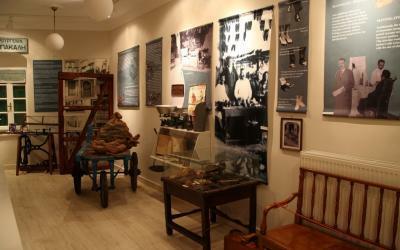 It is where phonographs, discs, traditional musical instruments, carpets, jewellery, seals and many objects are displayed. One of the most important buildings of Lefkada houses the Public Library with its collection of post-Byzantine heirlooms of Ionian art. These are icons from the temples and monasteries of Lefkada. The collection includes other relics of Orthodoxy from the 16th century onwards. 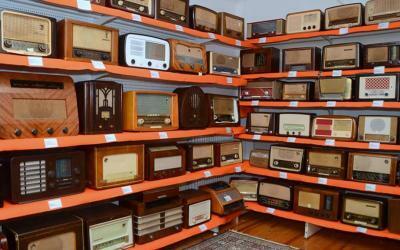 The museum is located in the mountainous Karya which will enchant you with the unique collection of old melodies, phonographs, radios, turntables, open-real audio tapes, juke-boxes and discs. It was founded with much love and passion for art, music and culture by the collector Christos Vlachos.